Rebranding is one of those squishy, confusing terms that means something different to nearly anyone you ask. What does rebranding mean? Here’s my take, to clear up the confusion. My old brand from 1985 is a beloved, recognizable name with an easy to see logo that’s been solid for 32 years. Isn’t it better to keep such a logo, brand, even acronym as it sinks deep roots into the public psyche? [Keep it because] it builds detectability and hits throughout the internet, rather than toss it because it suddenly doesn’t meter on the chic of the week index? … we get 8800 hits on Google – can’t give that up. What measures are there? What are the risks, e.g., Classic COKE? Maybe that’s a better question: how do you really know if it’s time for a rebrand? Rebranding does not mean a change in name or URL, although a name change requires a rebrand. When you undertake rebranding, you’re doing so to bring your marketing, your image and identity up to date or to reach and appeal to today’s audiences. In most cases, your name will remain, as will your domain name. People will still know who you are and what to call you. They’ll still be able to find you online at the same web address. You’ll bring those positive impressions, those loyal customers, those who understand who you are and what you offer with you as you move forward in the rebranding process. The logo design can be all new, or a brand refresh may be the right choice. Think of a brand refresh as a new, up-to-date outfit. The same person inside, but a new look that looks professional, polished and current. In rebranding, often the logo changes, from small tweaks to a total transformation, as shown above for Roth Heating. However, if recognition is good for the current identity, a refresh can be the best option. It will keep visual elements from the current identity, yet create a refresh with an updated color palette, a new font system, and carefully designed “lockups” for the logo and brand promise (often known as a tagline). New brand messaging could also yield a brand promise that’s audience-focused instead of stating who the company is or what they do and sell. That’s why we call it a “brand promise.” It’s focused on what you and your organization promise to your buyer, customer or client. What can they expect when they work with you? Or the core elements of the identity remain the same but the messaging, brand promise and other surrounding elements transform how the name and logo are seen and recognized. Rebranding does not shift your purpose, it adds new insight, captures new attention. 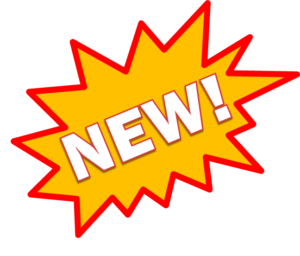 We all love the latest and greatest, whatever is marked “new!” on a package. 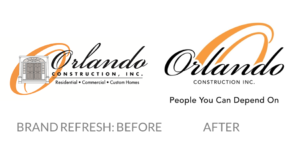 That’s what a rebrand can do for your organization. If your goal is to reach more people and capture their interest and response, a rebrand is one way to bring attention back to you and what you provide. The rebrand process also reveals what people are thinking, perceptions and mis-perceptions and new avenues of communication. It forces you to rethink, re-examine and re-focus on what matters most to you and to the people you want to reach. Face it. Times have changed. People’s attention spans are shorter. Styles and colors alter and shift. People read less, especially online. As attitudes and communication styles evolve, your brand must stay relevant to how people learn and choose now. What does rebranding mean? Change. And with change there is risk. And in business there is risk. But remaining the same means entropy. Slipping back. Losing momentum. Diminished visibility in your market. Rebranding is risky, as with the “Classic Coke” example. Yet we must point out, that rebrand was more about the formulation than a change in package or brand design. The most significant change was how “New Coke” tasted, which was no longer familiar, nor was it acceptable to Coca Cola fans. 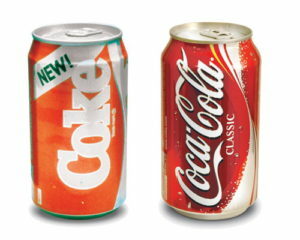 As you’ll note, the key visual brand elements (red, Coke) remained the same, wrapped around a new product. However, this points to more confusion around the term “brand.” Is a brand the logo and visual presentation? Or is it the product? What cachet do different types of “brands” have? How do you build and support that? Think Apple, BMW and Starbucks. Each stands for something different. Read our post on positioning for more. What we’ve honestly seen as a result of a rebrand is positive. Staff rally around the new look and brand. They love pointing to “that’s us, that’s who we are!” and handing out new business cards. They’re proud to share the story that rebranding has brought forth. They hear praise from customers and clients who love the new look. They hear “wow, you guys are everywhere now!” when in fact, they just weren’t noticed before. We all love a new outfit and new shoes. We love strutting our stuff and being recognized newly. 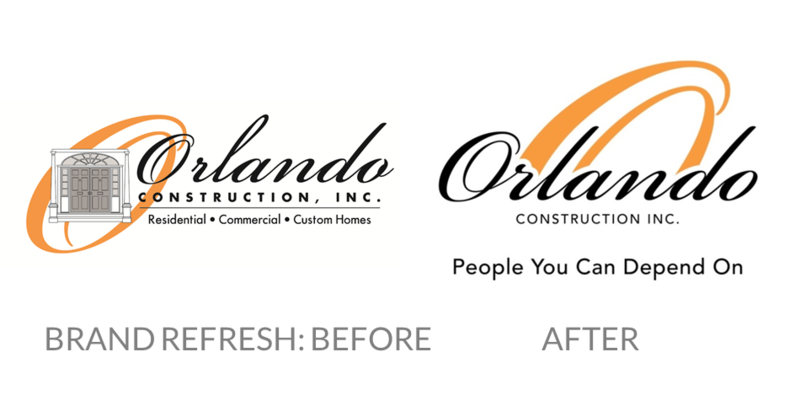 You’ll get that “I’m lookin’ gooood!” feeling of pride when you’ve accomplished an in-depth rebrand. What does rebranding mean to you when it’s all done? Pride. Inspiration. Energy. Focus. Clarity. Results. It’s because you have renewed your focus on what you do best and what your people, your best audiences, love about you. In the discovery process you’ve peeled away the extraneous and revealed what’s best about your organization, its purpose and the results you create. That focus and purpose is reflected in your rebrand, expressed newly to your fans, friends, community and prospects. If your organization has been around for thirty-plus years, you’ve already seen huge shifts in how you do business and who you reach. Technology impacts marketing. New audiences alter perceptions–and in marketing, perception is reality. Tastes change. What was acceptable and just fine years ago is now out-of-date and behind the times. If your brand presentation looks out-of-date, the assumption is your organization is too. How you reach people and who you reach with your brand is all new in just the last 10 years. Millennials (under 30) are now nearly 40% of the workforce and will be close to 50% by 2020. If you or the leadership team are 50 or older, it’s likely you’re facing many issues driven by the Millennial perspective, both internally and with the audiences you must reach. Are you still relevant? Is it time to embrace change? 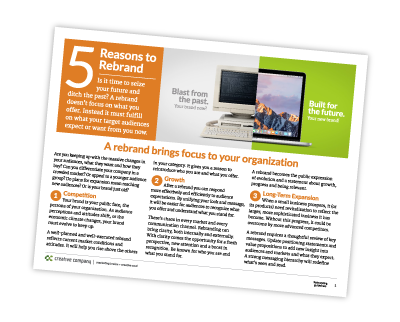 What does rebranding mean to you and your organization? Rebranding reviews, examines and clarifies who you are, who your audiences are, and how you want to be perceived in the future. The process brings your leadership team together, is a catalyst for change and forces you to better understand your current audiences and communication channels. New opportunities appear. Perceptions are uncovered. Internal processes are streamlined around the brand’s focus and purpose. And how and where you market is more clearly defined. Rebranding is far more than replacing an old logo with an updated or new one. Yet with the logo as the thumbprint of your brand, a rebrand brings your visual brand (logo, colors, visual elements) current to stay relevant with all of your audiences. Rebranding is holistic, not just design. Its purpose is to refine and focus who you are, how you express your value and what you mean to your target audiences. Beginning with positioning, you’ll understand how to stand out and what key ideas make you the better choice. You’ll differentiate your organization from others in your category. As an inherent part of our rebrand process, we also deliver messaging hierarchy as the verbal brand. Those important key ideas that present you as the right choice for what you do are expressed in the right words for your brand promise and positioning statement, and layers of important ideas after those. As noted before, the most obvious piece, the visual cue there’s something fresh and new, is a logo design. But that logo design or refresh, when it’s done the right way, must reflect your position in your market. There are many reasons to rebrand. What rebranding means to you is based on where you are now, where you want to be, who you need to reach and how you want to do business. In fact we offer a guide to help you decide if it’s time to change. Download it below. 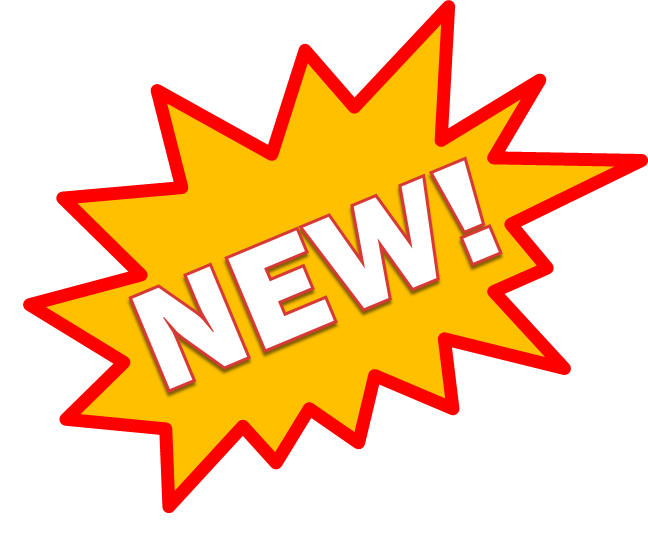 You can also see examples of rebrands and brand refresh on our website. Learn more here about the branding process, from audit to launch. If you think it may be time for a rebrand, contact me. We’ll be happy to talk through your situation and help you decide on the best course of action at no charge. Jennifer's four decades of work in the industry, starting as a designer and adding marketing, copywriting and digital marketing, has generated response for clients since 1978. Another blog post by Jennifer Larsen Morrow. Need to figure out if I should re-work my concept and design ….Paying annual fees for no reason doesn’t make sense. Hi Pamela, thanks for commenting! What exactly are you paying annual fees for? Can’t be annual fees for your branding, is it? … Or are you talking about your website? Time to rebrand? Use our guidelines to decide.